Hey Paulo, Sure we have sumo suits for rent. We sent you an email at the address you provided we encourage you to call us at 1-888-4-ALL-AGES if you have any further questions. Thanks! Looking to see how much it would be to rent 2 Sumo Suits for a 30th Birthday party (backyard). Hi – Im looking to rent a Sumo Wrestler suit set for this Saturday, 8/27. Is it available and if so how much is the rental fee? I am planning a graduation party for my 2 kids on June 16, 2012, and am interested in The Sumo Wrestling, the Italian Ices, and also a Caricaturist (if you have one)…can you please email me the pricing, and if they are available. Thank you! 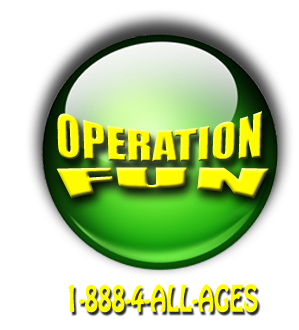 Hi, looking for pricing on the obstacle course, Italian ices, and sumo suits for a birthday party in June. Thanks!! I’d love info & pricing on kid size sumo suits for May 18th, 2013. I am considering a dunk tank also. Please contact me with options & pricing. Thanks!